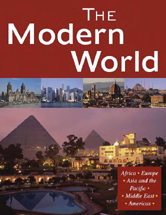 This title explores world history from approximately 500 C.E. to the present. Entries cover the social, political, scientific and technological, economic, and cultural events and developments that shaped the modern world.